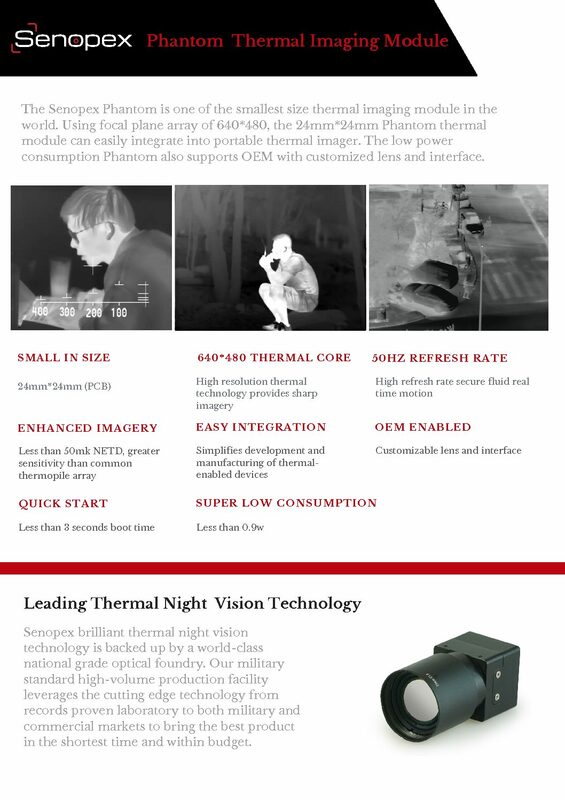 The Senopex Phantom is one of the smallest thermal module in the world. 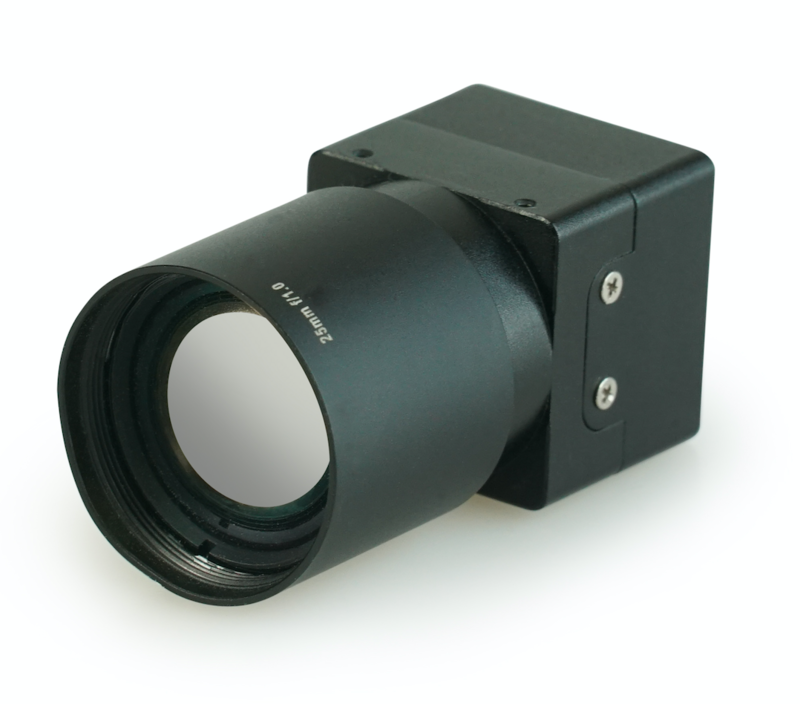 Using focal plane array of 640*480, the 24mm*24mm PT thermal detector core can easily integrate into portable thermal imager. The low power consumption PT also supports OEM with customized lens and interface. 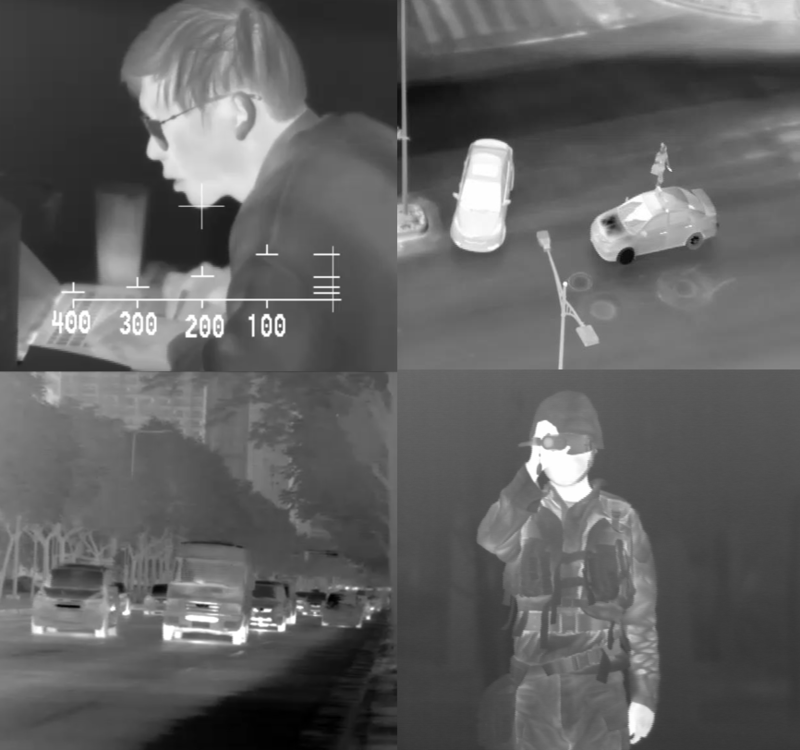 Small in size, low power consumption (<0.9w), great thermal imaging for any kind of thermal imagers like thermal binoculars, PTZ thermal camera, thermal scope and drone syste,.